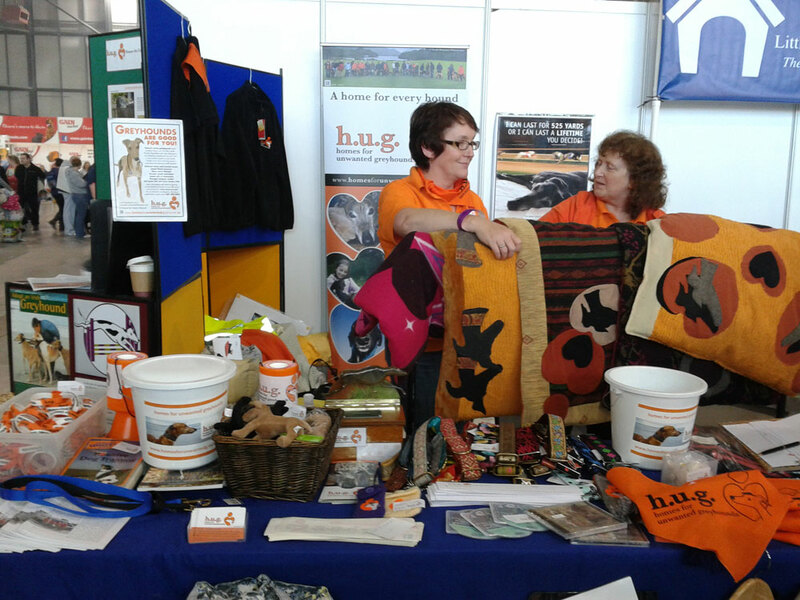 The HUG team had a busy weekend at Ireland’s Pet Expo at Punchestown Racecourse October 6th & 7th. 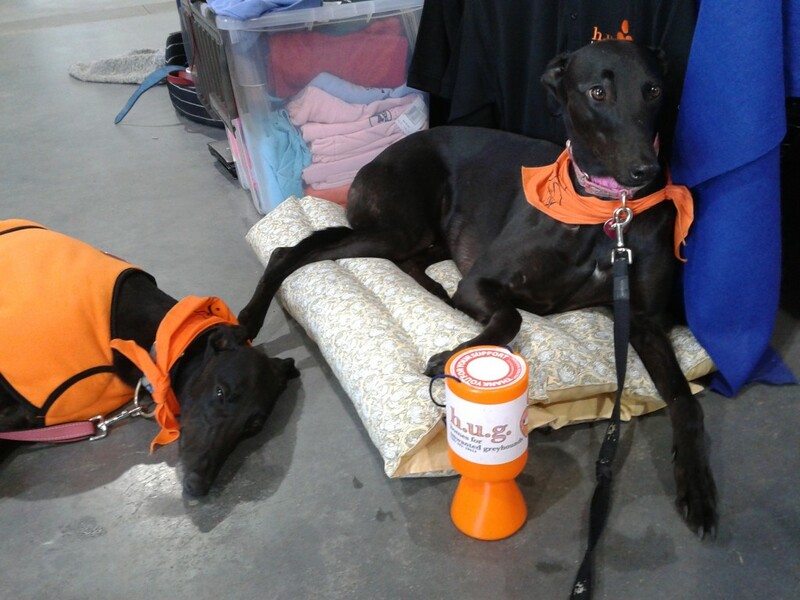 Our display had a wide selection of HUG merchandise and doggy gear to sell as fundraisers, including coats, collars, dog beds, bookmarks, car stickers, bandanas, clothing and crocheted mobile phone covers, amongst many other things. We spoke to many people about greyhounds as pets and introduced the dogs visiting over the weekend, who were quite popular with the public. Bella perfected the art of holding the donation cup between her paws while napping in front of the display, which helped to collect over 1000 euro for HUG during the course of the weekend! Thank you to everyone who purchased items or gave a donation, it will all go towards helping rescue more greyhounds and pay for the veterinary treatments, food and transport of dogs while they wait for their forever homes. 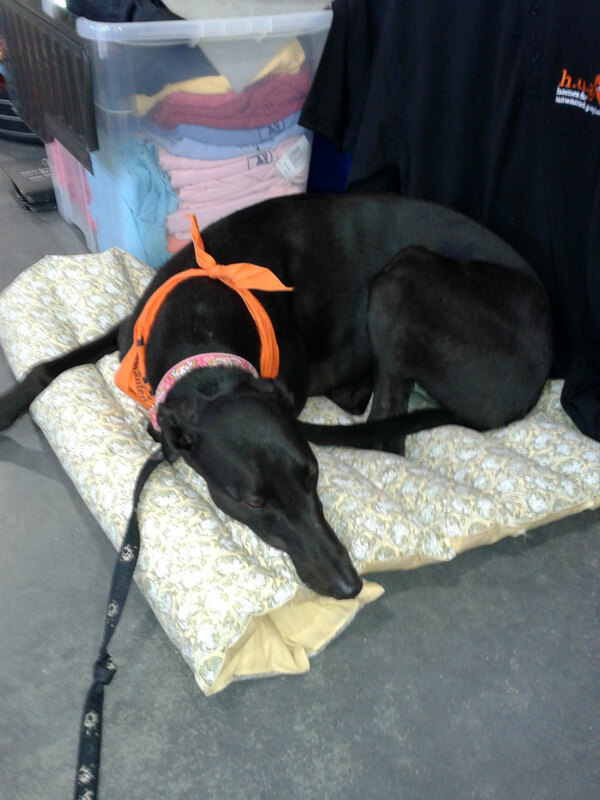 Bella did some shopping of her own and decided she needed to bring home one of the lovely dog beds made for HUG by a supporter in Belgium. 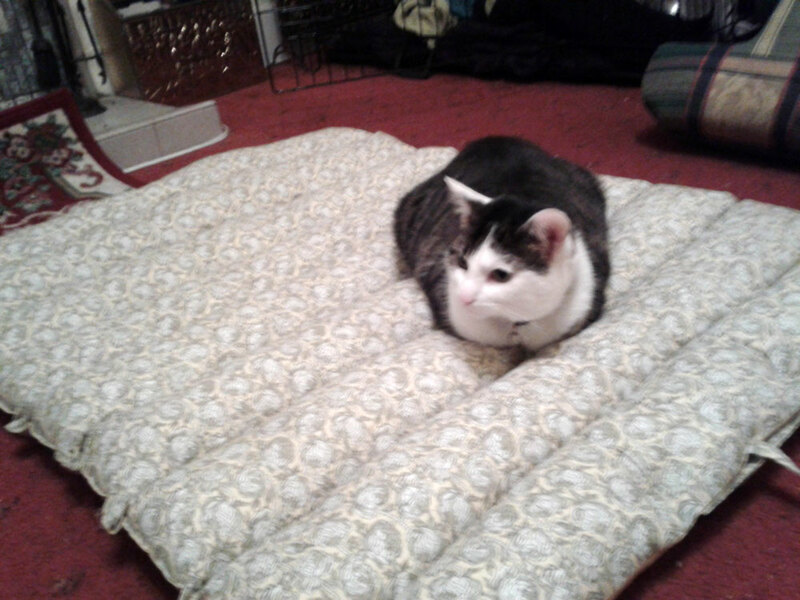 Penny also approves of the new “dog” bed and has claimed it for herself! 1000 euro’s? Thats a lot, wow! Good job! Yay! And how often will Penny let Bella use her new bed, when Bella has those lovely smushy chairs to lie on?